My daughter is a big fan of do-a-dot printables, but every now and then I like to change things up a bit and give her more of a challenge. 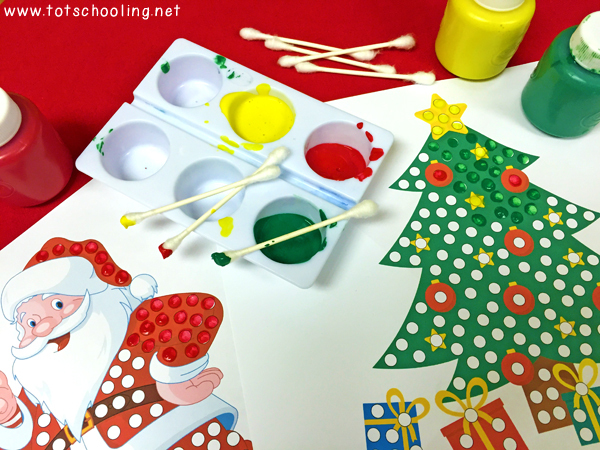 So I created these Christmas themed Q-tip dot painting printables. She enjoyed painting in a unique way, and I like it because it's great for her fine motor skills! 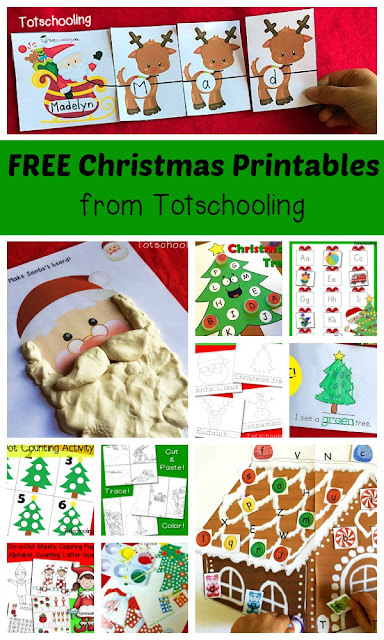 These 5 FREE Q-tip painting printables include Santa Claus, Santa Claus riding his sleigh, a Christmas tree, Rudolph the reindeer, and an elf. 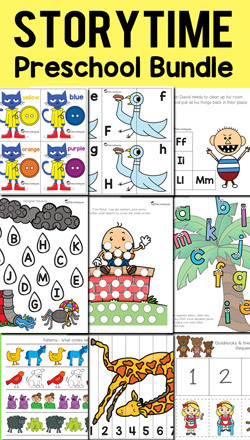 Just print these sheets, grab some q-tips and paint, and you have a quick & fun activity for your preschooler. 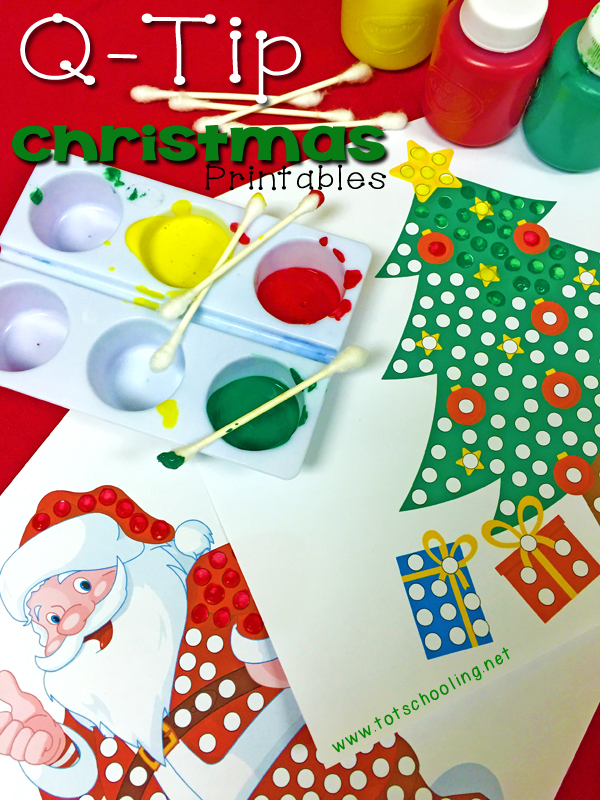 Click here to Download your Free Christmas Q-Tip Painting Printables!